GeSHi is an award winning piece of software - so you know you're using a top quality product. In parallel to the previous release, I'm happy to provide you this release of GeSHi which is the first one targeting PHP7. I has NO new languages as those were all bundled with the previous release already. This release includes only bugfixes for proper support of PHP 7. 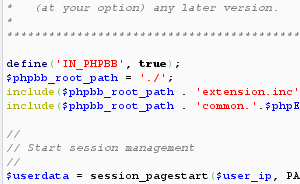 Although it likely runs on PHP 5 there will be no support to PHP versions prior to PHP 7. Some more details can be found in the changelog. As already noted previously there's still the problem with PCRE not working properly with some large sources: As I'm not a developer of PCRE, but a mere user I ask you to report issues with PCRE crashes upstream to them, not me. More information on current GeSHi developement can be found in the GeSHi corner of my blog. After even more has passed I'm happy to finally announce this new release of GeSHi with loads of new languages, some minor parser tweaks and fixes to existing language files. It adds 14 more languages thus making a total of 251 supported languages. This release includes two minor bugfixes. 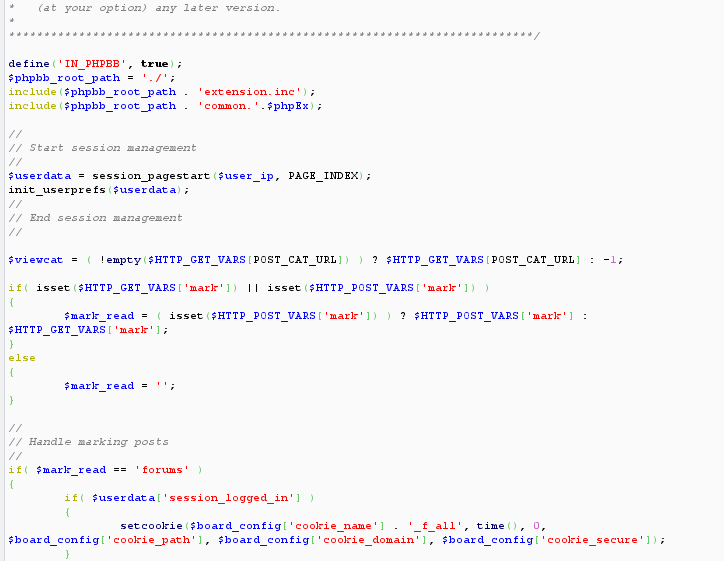 It is also the last version to be compatible with PHP 4 and support for PHP 5. Some more details can be found in the changelog. As already noted previously there's still a problem with PCRE not working properly with some large sources: As I'm not a developer of PCRE, but a mere user I ask you to report issues with PCRE crashes upstream to them, not me. Again quite some time has passed but here it is: the new release of GeSHi with loads of new languages, some minor parser tweaks and fixes to existing language files. It adds 18 more languages thus making a total of 237 supported languages. This release includes two minor bugfixes for the contrib scripts shipped with GeSHi which allowed for Cross-Site Scripting. Thus if you have the contrib scripts installed it is strongly advised to update ASAP. Some more details can be found in the changelog. Since this week GeSHi has migrated to use Git for version control of the source code. Parallel to this move the source code hosting has moved away from SourceForge to GitHub Thus the old code at SourceForge is there only for historical reasons and will no longer be updated. You can find more details on this change in my blog. I recently decided to make the GeSHi website available via SSL as a related project requires use of SSL anyway. Currently I'm not yet forcing SSL, but if you connected successfully via SSL once you'll use it automatically for the next six months due to HSTS. The reason I'm currently not enforcing is that as the used Certification Authority CAcert is not in the trusted store of Mozilla and Internet Explorer (although the second is not relevant to me) you'd probably get alot of confusing warnings. Thus as of now you should make a conscious choice to use the encrypted version of this website. If you do and you get an error "Issuer not trusted" please check the Certificate or verify the Root Certificate of CAcert is installed properly. This change is available for qbnz.com and geshi.org.